The ball valve structure of ball valve was evolved from plug valve, the opening and closing parts of it as a sphere, the use of a sphere around the stem axis of rotation of 90 degrees to achieve the purpose of opening and closing. The ball valve of the ball valve role is mainly used for cutting off the pipeline, distribution and change the direction of media flow, designed V-shaped openings of the ball valve also has a good flow regulation. Ball valve is not only a simple structure, good sealing performance, but also in the public that pass through the smaller range of light weight, less material consumption, installation size, small, and the drive torque is small, easy to operate, easy to quickly open and close, is Over the last decade the development of fastest valves varieties. In particular, is very widely in the U.S., Japan, Germany, France, Italy, the West, Britain and other industrialized countries, the use of ball valve, the use of the variety and quantity continues to expand, and high temperature, high pressure, big mouth upon, high tightness, long life, good regulating performance and a valve multi-direction, reliability and other performance indicators have reached a higher level and partial replacement of the valve, globe valve, regulating valve. With the technological progress of the ball valve can be expected within a short time see, especially in the oil and gas pipelines, the refinery cracker and the nuclear industry will have a wider range of applications. 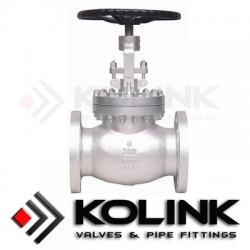 In addition, the large and medium caliber in other industries, medium and low pressure areas, ball valves will become one of the dominant type of valve.